Monetize your web with new Boxing day offer from H10 Hotels, providing hotel stays from 72€ per room. Take this advantage to increase your commissions! Monetize your web with new offer from Movenpick Hotels, providing up to 30% off on hotel stays. Take this advantage to increase your commissions! - Earn 1,500 Miles & More award miles per stay, by entering your Miles & More membership number at the time of booking. - This offer is applicable for a minimum length of stay of two nights and a minimum of 5 days booking in advance. Monetize your web with a new offers from Sandos Hotels, providing up to 35% off on hotel stays. Take this advantage to increase your commissions! Description: Book your stay at Sandos Cancun and get up to 35% off your winter vacation. Description: Reserve your stay at Sandos Finisterra and get up to 20% off your summer vacation. Take advantage of this early summer booking deal! Monetize your web with new offers from Trident Hotels, providing hotel stays from INR 7,000. Take this advantage to increase your commissions! - Accommodation for 2 nights and 3 days. Monetize your web with new offer from H10 Hotels, providing hotel stays from $265/night. Take this advantage to increase your commissions! Monetize your web with a new offer from Sandos Hotels, providing up to 30% off on hotel stays. Take this advantage to increase your commissions! Description: Reserve any of the four room categories at the new, luxurious and exclusive Palm Bay section of Sandos Playacar by September 30th 2018 and get up to 30% discount on your stay. - Offer valid for stays from 12th April to 23rd December 2018. Description: Book your stay at Sandos Finisterra by September 30, 2018 and get up to 20% off your winter vacation. - Offer valid for stays from 24th December 2018 to 30th April 2019. Monetize your web with new offer from Oberoi Hotels, providing hotel stays from AED 600 per night. Take this advantage to increase your commissions! Description: Experience the sophisticated glamour of Dubai with rooms from AED 600 per night. - Accommodation in a Deluxe City View Room for two guests. - Daily breakfast for two guests. - Complimentary upgrade to Luxury Pool View Room. - Savings of 20% on Spa therapies. - Savings of 20% on food and beverage. - Late checkout until 6 pm. - Complimentary transfers to Dubai Mall. - The offer price is per night and is applicable on a minimum stay of 2 nights. Monetize your web with new offer from Oberoi Hotels, providing hotel stays from INR 20,000. Take this advantage to increase your commissions! Monetize your web with a new offer from H10 Hotels, providing up to 40% off on hotel stays. Take this advantage to increase your commissions! Description: Book your stay at Ocean Riviera Paradise, Mexico, and get up to 40% off the non-refundable rate. - Offer valid for stays in 2018 and 2019. Monetize your web with new offer from Trident Hotels, providing hotel stays from INR 7000. Take this advantage to increase your commissions! Monetize your web with great new offers from Oberoi Hotels & Resorts, providing hotel stays from from INR 16,000. Take this advantage to increase your commissions! - Offer available on a minimum stay of 2 nights. - Prices are per night in Indian Rupees and exclude applicable taxes. 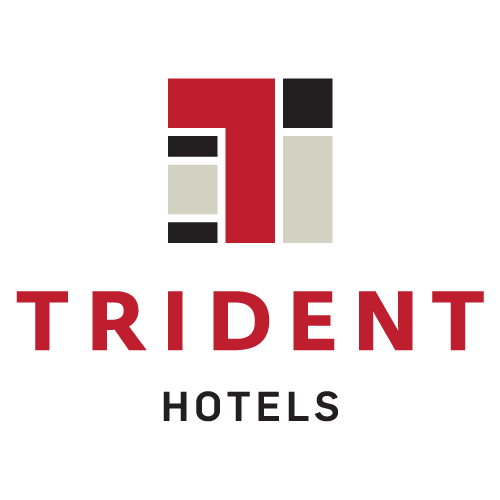 Trident Hotels Now Live on Awin! Trident Hotels are a five-star hotel chain owned and managed by the Oberoi Group. Trident Hotels are located in some of the most renowned cities of India: Mumbai, Gurgaon (Delhi NCR), Chennai, Hyderabad, Bhubaneswar, Cochin, Agra, Jaipur, and Udaipur. They have also been rated the best first class hotel brand in India for four consecutive years at the Galileo- Express Travel World Awards. Join the Trident Hotels Program Today! Why join the Trident Hotels program? Oberoi Hotels & Resorts Now Live on Awin! Oberoi Hotels & Resorts are a global luxury hotel company operating in five exotic locations: India, Indonesia, Mauritius, Dubai and Egypt! Oberoi Hotels & Resorts have established a reputation for redefining the paradigm of luxury and excellence in service amongst leisure hotels around the world. Join the Oberoi Hotels & Resorts Program Today! Why join the Oberoi Hotels & Resorts program? Provide your users with a unique Luxury product. Located at the most picturesque destinations. Monetize your web with the new offer from Movenpick Hotels, providing stays from 88 €/night. Take this advantage to increase your commissions! Description: Book now your much awaited family holiday at one of the Mövenpick Hotels & Resorts in Europe and share new fun experiences with your loved ones from 88 €/night. - A complimentary $20 voucher to spend in the hotel's restaurant(s).